NBA Canada Series: The Raptors are in Montreal to take on the Brooklyn Nets in their second NBA Canada series game this preseason. This will be the fifth preseason game the Raptors have played in Montreal, with Toronto owning a perfect 4-0 record at the Bell Centre. Norm’s the word: Norman Powell led Toronto in its victory against Melbourne United on Friday at Scotiabank Arena. Powell scored a team-high 21 points in 25 minutes before leaving the game with a right thigh contusion. He shot 8-for-11 from the floor, 3-for-5 from beyond the arc and 2-for-2 at the free throw line while adding three rebounds and three assists. Powell looked great and scored from all over the floor, including three-pointers, jumpers, drives to the basket and a few thunderous dunks as well. “I’m just focused on the nuances of the game, learning the offence, learning where I can find my spots,” Powell said after Toronto’s open scrimmage at Ryerson University on Sunday. 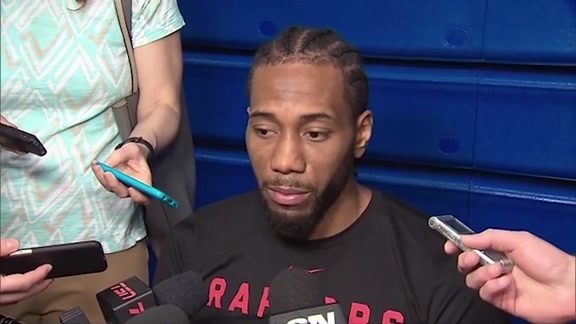 ‘I’m just talking to Nick [Nurse], focusing in on my role and looking at what he wants me to do. 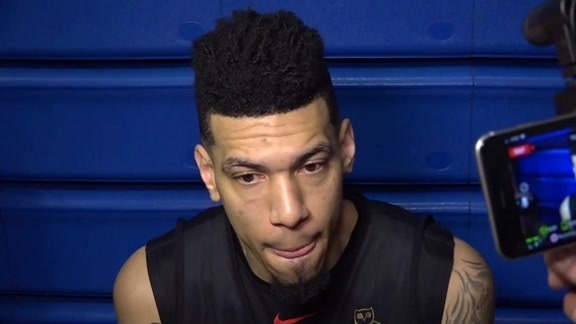 Just being with the guys and incorporating myself into the group and seeing what I can do.” Powell did not participate in Toronto’s practice on Tuesday. Siakam scores: Though Norman Powell led the Raptors in scoring, Pascal Siakam wasn’t far behind, adding 19 points of his own against Melbourne United. Siakam shot 6-for-10 from the floor, 1-for-2 from three and 6-for-7 from the free throw line. He added six rebounds, three assists, and a steal to round out his performance. In a game where Kawhi Leonard, Kyle Lowry, C.J. Miles, OG Anunoby and Chris Boucher were all not in uniform, Toronto’s young guys stepped up. Perhaps most impressive for Siakam: the Raptors were a +50 when he was on the floor. Back-to-back: In an interesting preseason scheduling wrinkle, the Raptors will play the New Orleans Pelicans, in New Orleans on Thursday. This means Toronto will fly out immediately after Wednesday’s game at the Bell Centre for a preseason back-to-back. Thursday’s game will be their preseason finale, allowing the team to return to Toronto to prepare for the regular season opener against the Cleveland Cavaliers on Wed, Oct. 17.